XIDA released a new app for iPhone and iPad. 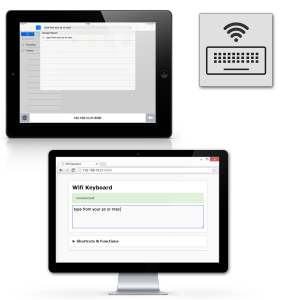 With this app you can type on a iPhone and iPad from a desktop pc’s web-browser. That way you can use a real keyboard for apps like WhatsApp and Facebook. Works with any operating system (Windows, Mac, Linux) with a modern web-browser (Firefox, Chrome, Safari, Internet Explorer). 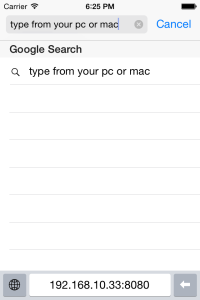 type in the web-browser and everything you type will be shown on your iPhone / iPad.